Please join us at one of our Bible studies. There are several different studies to choose from. We hope you find one that interests you and will work within your schedule. We look forward to growing in our relationship with Christ together. Childcare available for birth-5th grade available. Advance registration required. Are you new to our Bible studies? If so, we’ve got a special treat just for you. Use code NEWFRIENDS to register for free. Before the days of viral social media posts and YouTube videos, a different medium for spreading news dominated: letters. While the first Jesus followers tried to figure out their new belief system, the early church leaders used letters to encourage, inform, and direct. These letters were widely circulated and eagerly read…never intended for the elite, always meant for the masses. TITUS: How do we reconcile our faith with living in Christian community? 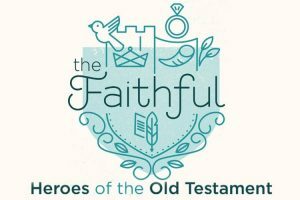 PHILEMON: How can faith transform our motives, decisions, and relationships? Eugene Peterson says, “What we know about God and what we do for God have a way of getting broken apart in our lives.” Paul’s letters will take us on a journey of turning our beliefs into behaviors. Missed a lecture, or just want to hear it again? You can listen to it on RPC Women’s Ministry podbean. This class is full. Please contact Lauren Etter at etter@rpcstaff.org to be placed on the waitlist. Through this 11-week study of II Corinthians, you will continue to learn how God transforms your life as His child by teaching you to live dependently on Him in weakness and in strength. This “dependent living” is becoming stronger and more effective in life by relying on God rather than on yourself. You learn how to do this as you act according to the Word of God, depend on Jesus Christ for the power to do so, and trust Him with the results. If someone were to ask you to give the reason for the hope that you have, would you be prepared to answer? What do you do with the loss, joy, pain, wisdom, disappointment and gratitude you have experienced? This 11 week workshop will teach you how to take all the parts of your story and identify God’s hand at work throughout. If you desire to be more intentional at living out Jesus’ commission of making more disciples, then join us as we seek to use our stories for His glory. How did he get this way? How can I tell if he is getting better? Can I ever trust him again? What do I do now? Betrayal & Beyond was designed to answer these questions and more. Experienced in a group setting, this resource provides valuable tools, biblical wisdom, and testimonies by courageous women who found hope, help, and encouragement through their personal journey. Our Sunday Morning Women’s LIFT (Ladies In Fellowship Together) Class provides a safe and loving environment for all women to be enlightened and encouraged by the truth of God’s Word and to be equipped to share God’s truth with others. Topics and lessons vary throughout the year. Are you looking for lasting and meaningful friendships? Would you like to meet with a woman ahead of you in years and wisdom to share her experiences and insights with you? Are you interested in sharing your time and life experiences with a younger woman or student that could benefit from such an investment? We joyfully invite you to Flourish! Flourish is a discipleship ministry at RockPointe Church that intentionally develops friendships among women from different generations. Women invest in the lives of each other through encouragement, guidance, listening, laughing and loving. The goal is to form lasting relationships that are a source of spiritual and personal support, growth and strength. Join us as we learn more about Jesus’ commission to make disciples. We encourage you to put aside any notion that you are not qualified to disciple another and discover the simple tools and methods used for successful discipleship. We are all called to a life of discipleship – Jesus equips the called! What is a “Nita” and what does she do? A Nita is a woman who is striving to do her best to navigate the seasons & experiences of life through her faith and trust in Christ. She has an active and consistent relationship with Jesus and is godly in conduct. She is willing to listen, share skills, and provide a positive perspective for life experiences in a fun atmosphere. She provides wisdom and offers spiritually sound advice in a safe and fun friendship to a younger woman. What is a Pearl and what does she do? A Pearl is a woman or young girl who welcomes the insight and knowledge of a more mature woman (Nita). She desires to develop certain skills and/or strengths for her personal, spiritual journey. She is looking for a woman who has dealt with or understands the struggles she now faces. She is willing to ask for what she needs and desires. “Pearl” needs a woman that has lived life longer than her and is willing to have a transparent relationship by sharing what God has taught her in life. 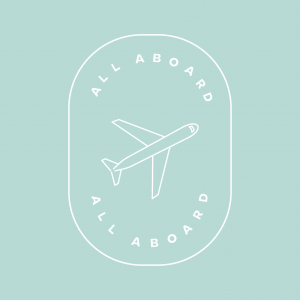 All Aboard | All Aboard – Oh the Places We’ll Go! For women who have suffered the death of a spouse and are seeking new opportunities for growth, service and fellowship. “Holland?! ?” you say. “What do you mean Holland?? I signed up for Italy! I’m supposed to be in Italy. All my life I’ve dreamed of going to Italy.” But there’s been a change in the flight plan. They’ve landed in Holland and there you must stay. The important thing is that they haven’t taken you to a horrible, disgusting, filthy place, full of pestilence, famine and disease. It’s just a different place. So you must go out and buy new guide books. And you must learn a whole new language. And you will meet a whole new group of people you would never have met. It’s just a different place. It’s slower-paced than Italy, less flashy than Italy. But after you’ve been there for a while and you catch your breath, you look around…. and you begin to notice that Holland has windmills….and Holland has tulips. Holland even has Rembrandts. But everyone you know is busy coming and going from Italy… and they’re all bragging about what a wonderful time they had there. And for the rest of your life, you will say “Yes, that’s where I was supposed to go. That’s what I had planned.” And the pain of that will never, ever, ever, ever go away… because the loss of that dream is a very very significant loss. Table 2.4.6. is a place to gather women and share a simple meal and dive deep with people over real stories and Christ centered conversations. A time for a whole lot of laughter – and maybe a few tears – but time spent that leaves us with glad hearts. Full hearts. Grateful hearts. We’re inviting you to join in by either serving as a table host or coming to a table gathering as a participant. Tables meet once a month. New tables are forming now. If you are interested in hosting and/or participating in a Table, please email Table246 for details. Check-in begins at 5:00 on Friday, May 3rd. We will pack up to head home by noon on Sunday, May 5th. Our theme is Trust and we will spend our time studying Proverbs. This year we are partnering with the IF:Gathering and our teachings will come from their recorded livestream event. We will have live worship and each teaching will be followed by wonderful small group discussions. Are you new to IF? Wondering what IF is? Click here for a quick video description. *scholarships are available. Please email women@rpcstaff.org to request. What if I don’t know anyone coming to Retreat? Then we will take especially good care of you and your room placement! We pray over every single room assignment and want you to be assured that you will be placed in a room with other “singles” or “pairs.” There is a place on the registration form to specify special requests so please let us know of any. What if I have roommate requests? Please be prepared with your roommate requests PRIOR to registration. All requests will be prayerfully considered. All rooms will be filled first come/first serve so make sure all of your roommates are prepared to register as well. Your $50 non-refundable deposit will hold your spot starting January 27th. Remaining balance will be due by April 1st. The Bluffs @ PineCove in Tyler, Texas. Click here for a quick photo tour of the campsite. Please email women@rpcstaff.org with any questions. We hope you are able to join us! We loved getting away together and learning about how Our Story is used for His Glory. Thanks to our wonderful group of photographer volunteers, you can see photos at 2017 Retreat Photos. We enjoyed “be”ing with you at our annual women’s retreat at PINE COVE to BE in the presence of our LORD and HIS creation. Thanks to our wonderful group of photographer volunteers, you can see photos at 2016 Retreat Photos. Interested in meeting and visiting with other RPC women in a casual setting? Bring a friend and join us on the first Saturday of each month for Coffee Connection. Feel free to come and go as you please.. Meets the 1st Saturday of every month at Corner Bakery in Highland Village. Come and go anytime between 7:30-9a. Mission: The purpose of MIC Playgroups is to provide age-related playgroups/activities for local moms and their kids, ages birth through preschool. We want to give moms a healthy, safe, God-centered environment for conversation and fellowship while their children play. She Serves is the serving hearts, hands and feet of RockPointe’s Women’s Ministry. We help with church-wide events by providing hospitality, food donation, event preparation, and decoration. 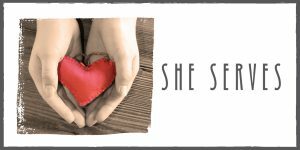 Women on the She Serves team are notified via email when needs arise and are then given the opportunity to “sign-up” or “pass.” For more information and/or to join the team, please contact Lisa Kotera at sheservesrpc@gmail.com.